DCC Sound Decoder by Hornby featuring Hornby's TTS Twin Track Sound. 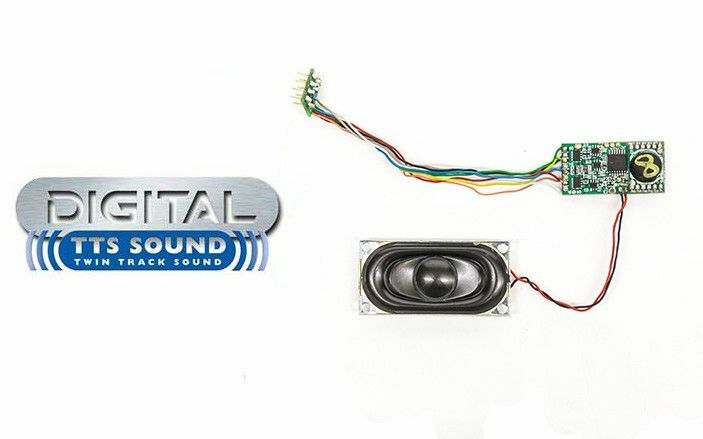 This sound decoder is designed to be used with Hornby's Class 60 Diesel Locomotive. But also ideal for use with the older Lima OO gauge class 60 models. For Lima class 60 the decoder will need to be hard wired.